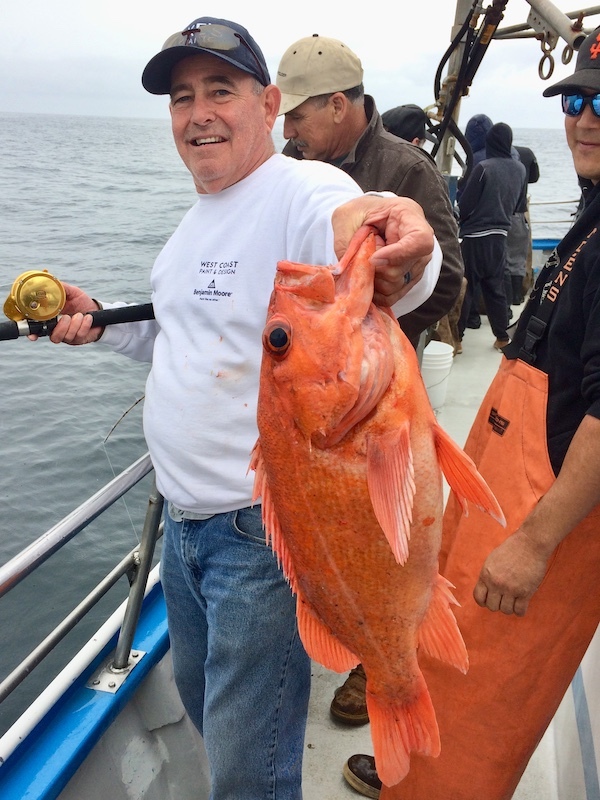 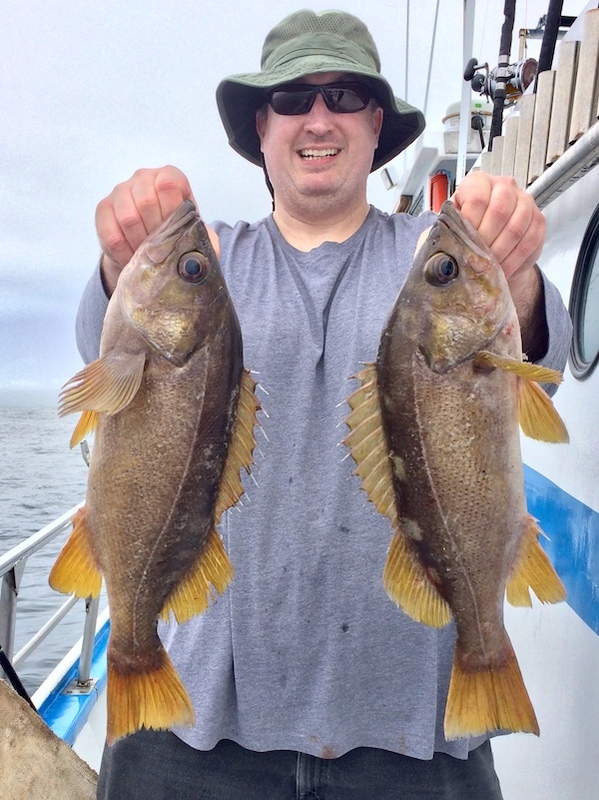 John Budrick from San Carlos with a couple nice 4lb yellowtail rockcod caught on shrimp flys. 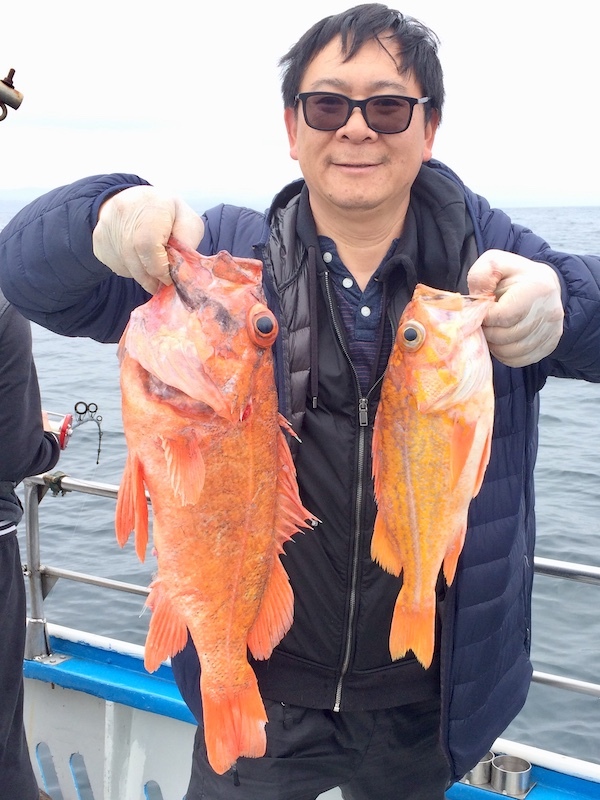 Huli Cat out of Half Moon Bay went out on a rockcod and crab combo today. 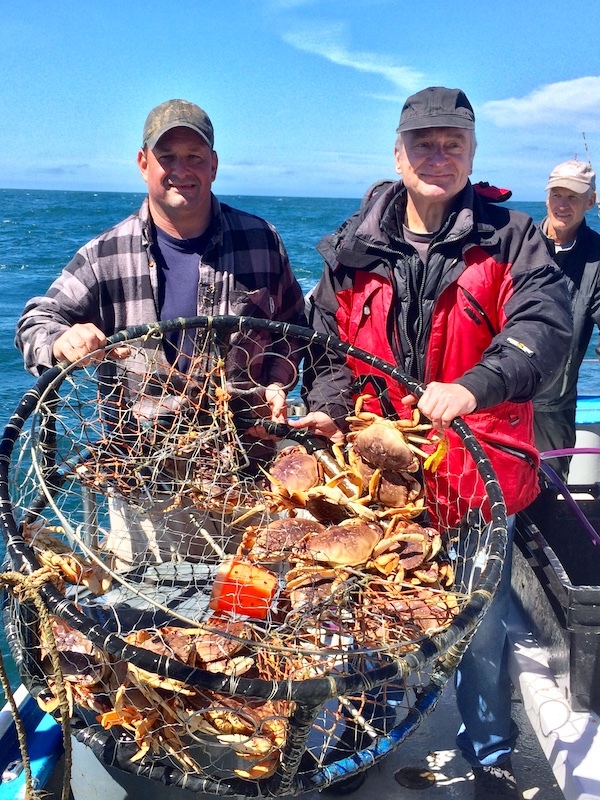 The 19 anglers pulled in 190 limit of crab for the day. 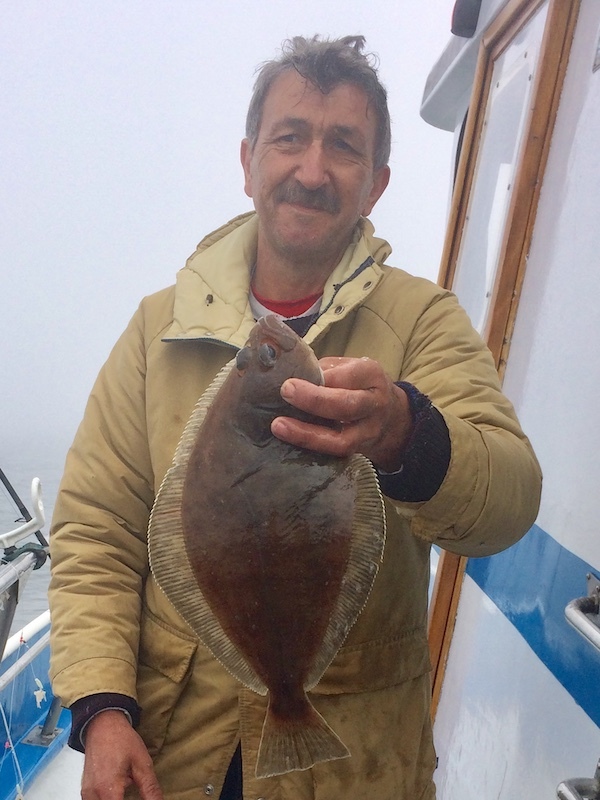 Ocean conditions were calm with a slight breeze. 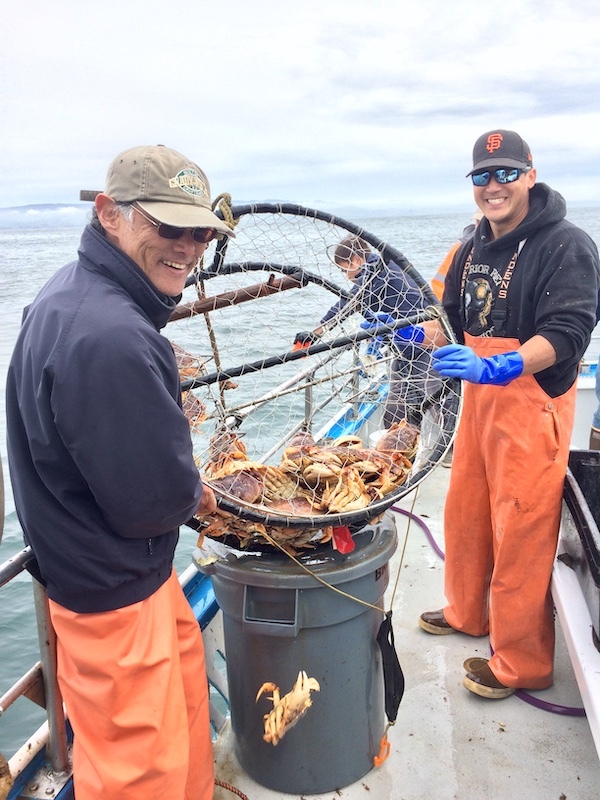 lan Tani from Saratoga and deckhand Matt Juanes from San Francisco holding up a pot pulled up with 16 crab.